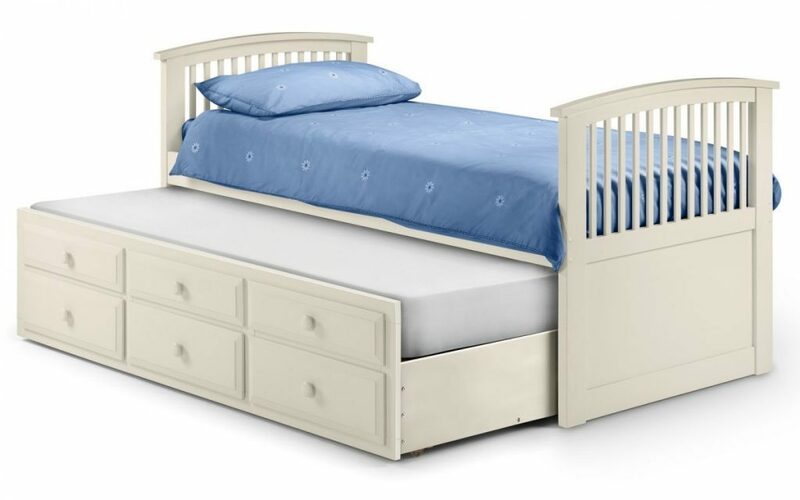 Home Beds & Mattresses Beds FLORIDA White 3Ft Single Bed With 3 Drawers & Under bed . The Florida single bed has a clever design. Including an underbed & 3 drawers, whilst saving on floor space. 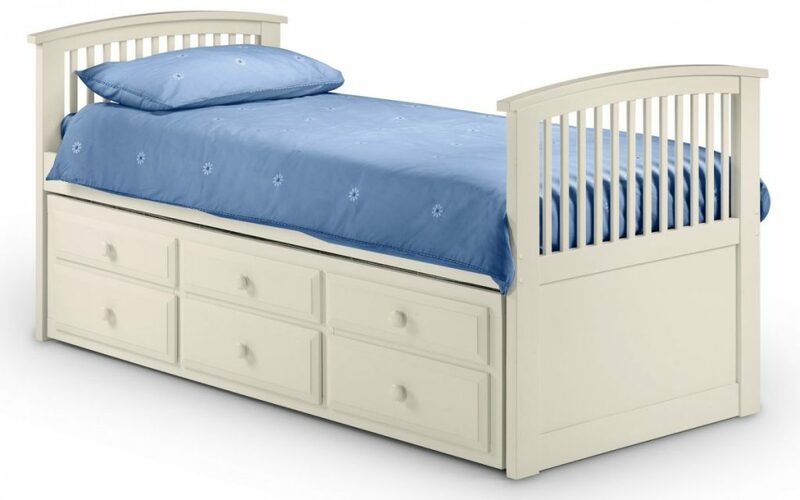 The perfect choice for smaller box rooms or to make your child’s room a little more interesting! The bed fits a standard single mattress (190x90cm), the mattresses are not included but we do have some great recommendations. The Florida includes 3 practical pull out drawers, 3 mock drawer fronts and a useful underbed. The space saving design is not all the Florida has to offer, it’s full of versatility, character and charm. This product has a quality feel with a choice of white or antique pine. The drawers have metal runners . Every detail and material on this bed has been thought about carefully to guarantee you a product that stands the test of play time. Also available in Antique pine finish.